Rev. Glenn Mason, age 70, of Mt. Hebron Road, Boaz Alabama died on Sunday, April 7, 2019 at Riverview Medical Center. Service will be held at New Emmaus Baptist Church on Thursday, April 11, 2019 at two o’clock p.m. Bro. Harold Baugh, Bro. Wes Lowrey and Bro. Daryl Ross will be officiating. Burial will follow in the Friendship Cemetery. Visitation will be on Wednesday evening from 6:00 p.m. until 8:00 p.m. at the funeral home. Mr. Mason was born in Alabama on March 22, 1949 to Jack & Vera Gilliland Mason. He was a Baptist Minister and ran his own trucking company. 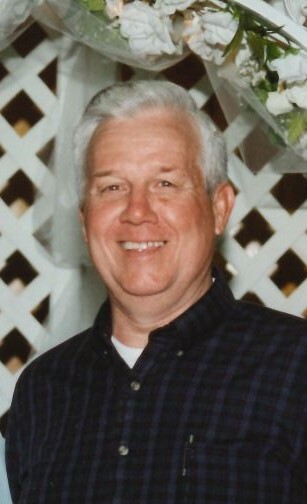 Mr. Mason is survived by his Wife: Pauline Mason of Boaz, Son & Daughter-in-Law: Christopher & Amber Mason of Cullman, Daughters & Son-in-Law: Kim & Richard Soper of Albertville and Jennifer Mason of Scottsboro, Grandchildren: Katelyn Soper, Allison Soper, Elijah Mason and Jacob Mason, Brothers & Sister-in-law: James & Linda Mason of Boaz and Ralph Mason of Albertville, Sisters: Mary Ruth Turner of Boaz, Clara McHenry of Albertville and Venita Teague of Tennessee. He was preceded in death by his Parents: Jack & Vera Mason and Brothers: John Paul Mason and Kenneth Mason. Pallbearers will be Jacob Holsonback, Brandon England, Ryan Dennis, Matthew Mason, Johnny McHenry and Gary McClendon.